Former Wallabies player Brendan Cannon has joined CBRE Capital Markets in Brisbane. In his new role, Mr Cannon will be an Associate Director in the Metropolitan Investments team. CBRE Director, Capital Markets, Flint Davidson said Mr Cannon’s appointment would bolster CBRE’s presence in the Brisbane market. “Aside from a stellar international rugby career, Brendan is a fantastic addition to the team and will add significant value to the growing Brisbane Metropolitan Investments team,” Mr Davidson said. Mr Davidson said Mr Cannon’s appointment came at a time when CBRE’s Metropolitan Investments team was undergoing a significant growth period. Mr Cannon joined CBRE from telecommunications group Digicel, where he was general manager. Before that, he spent a number of years as development manager with Charter Hall. 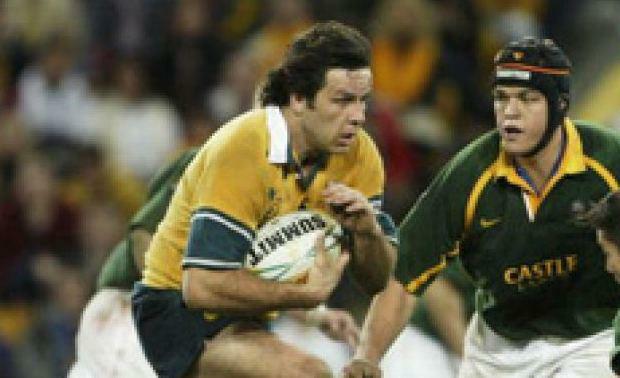 Mr Cannon played for the Australian Rugby Union team from 2001 to 2007, earning 42 caps for the Wallabies. He has also played professional rugby for the Queensland Reds, New South Wales Waratahs and Western Force in the Super 12 and Super 14 competitions.